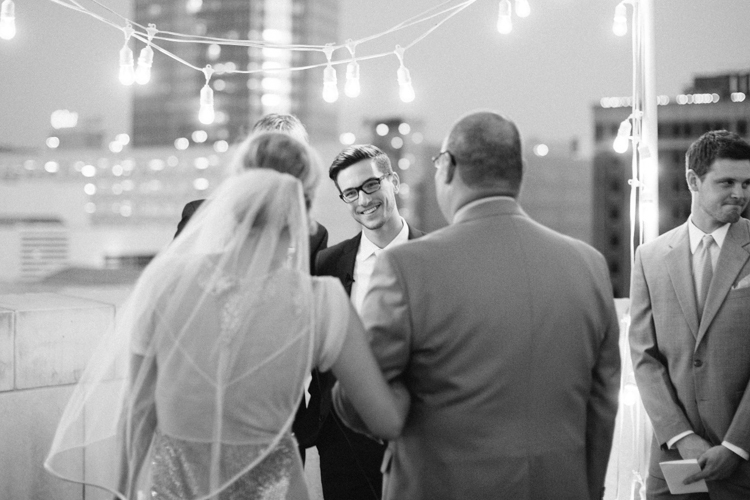 Brad & Sherree's rooftop wedding. Katie and I were married 9 years ago this August. Since then we've photographed a lot of amazing weddings, remembering a little piece of each of them and tucking it away for our "re-wedding". Someday, when our sons are old enough to participate, we'll renew our vows in style. 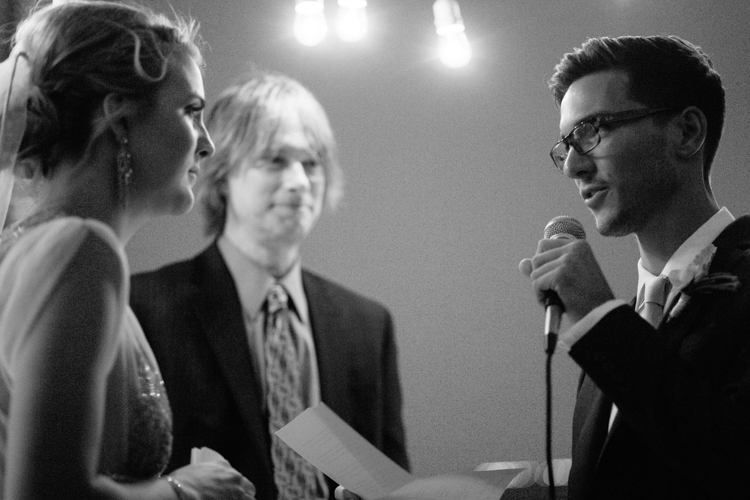 Our wedding was short and sweet. One of those "drop the gift, grab some cake, we'll see ya" kinda deal. It was a really fun day, but weddings are so much more intentional now. 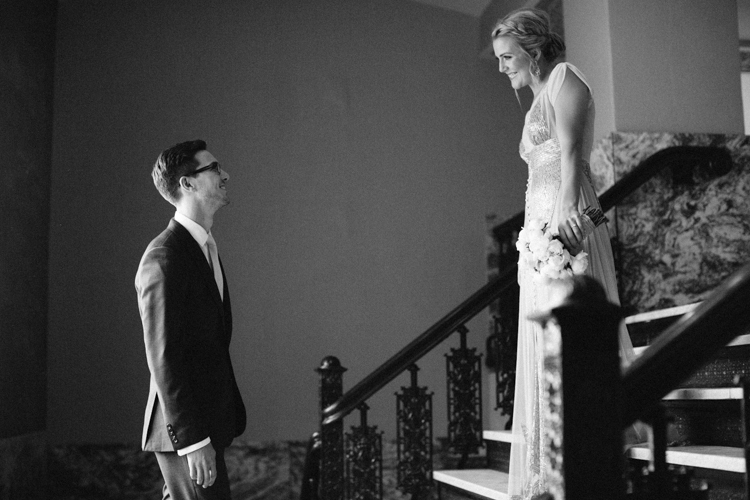 Intentional has to be the word I'd use to describe Brad & Sherree's wedding. With help from Gibson Events; they had a meaningful and light-hearted party with all their friends and family. They just happenend to have a surprise ceremony right in the middle of it. The day started with the normal wedding prep routine for the bride and groom. 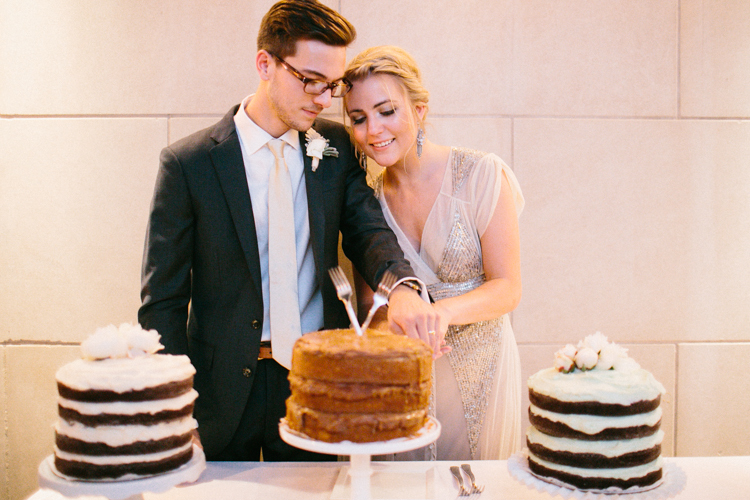 We shot all their beautiful details at the Colcord Hotel; these two have impeccable style! 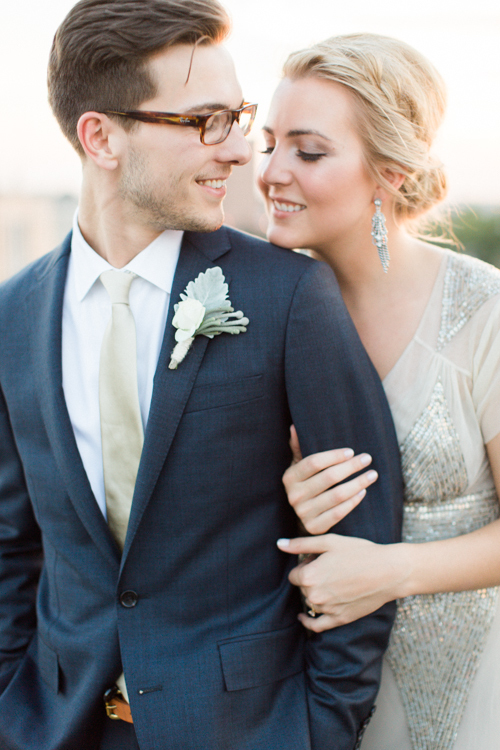 ( Sherree's dress by BHLDN) Meanwhile, the guests arrived to the OKC Muesum of Art rooftop under the impression Brad & Sherree had already done their vows at the courthouse and they were coming for a reception in celebration of the couple. There was a band, cakes from Cuppies and Joe, food and drink. 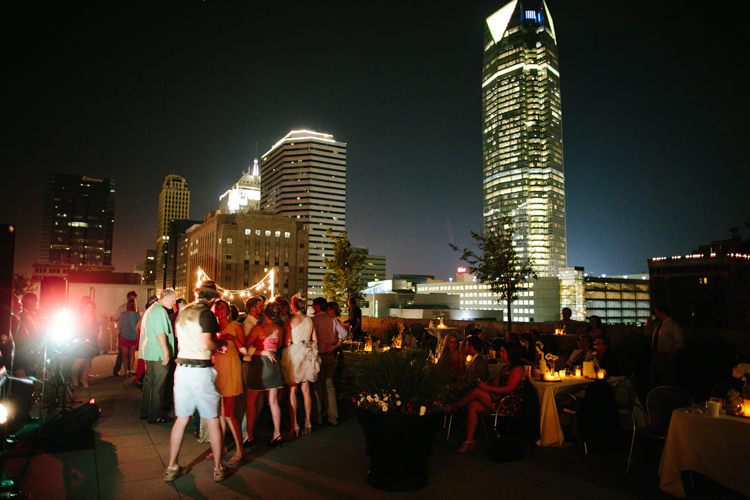 Not to mention the OKCMOA rooftoop is one of the best spots in the city at sunset. Meanwhile, Brad and Sherree were sharing an intimate meal at the Colcord with their immediate family and closest friends. We shot a few portraits downtown as we strolled to the Musuem. 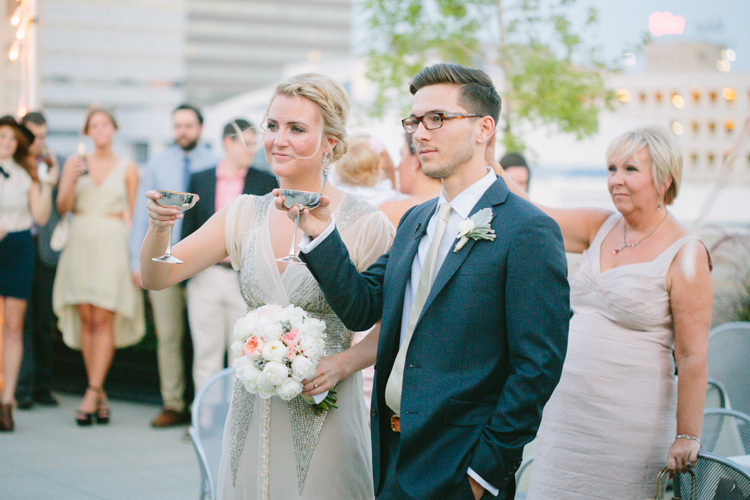 When the couple arrived they were introduced with applause and toasts. After some greetings, just after sunset, Sheree donned a veil and the crowd instinctually formed an aisle. 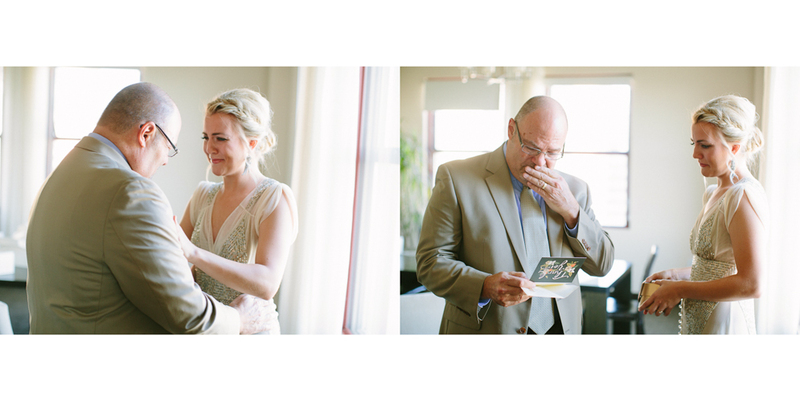 Under lights and before the city skyline they exchanged vows, prayed and were married then and there. Everyone cried. It was awesome. More celebration ensued. Sherree sang a song to Brad. 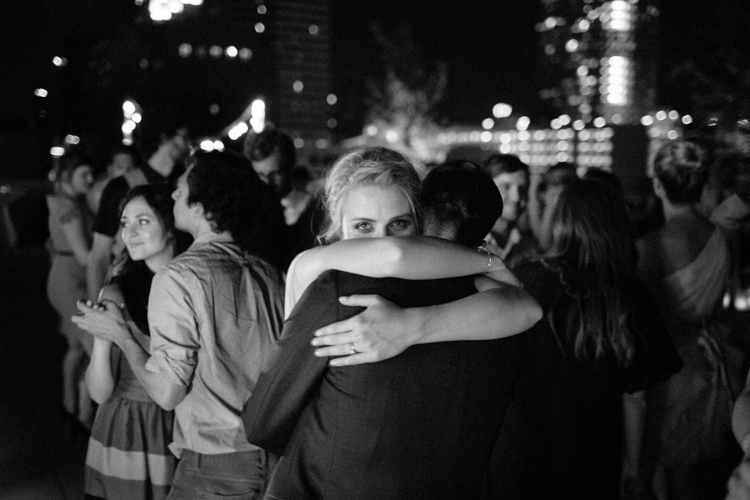 Fireworks on the skyline highlighted the last dance. 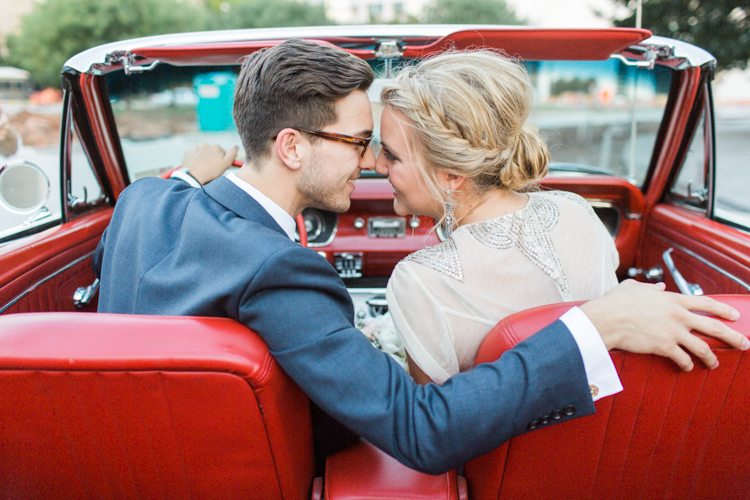 Off they went in a perfect Mustang convertible. It was different, but not for the sake of just being different. It was absolutely "them".